There's an urgent need for Christian ministry in our cities—but we need a guide. Known around Oakland, California, as "OG Rev.," Reverend Harry Williams's calling is to the streets: to the hungry, homeless, addicted, incarcerated, and vulnerable. In Taking It to the Streets, he invites us into his world, bringing us face-to-face with both the injustices that plague our cities and the gospel of compassion that offers hope to the downtrodden. Rev. Williams takes on racism, the plight of children in the inner city, gentrification, urban violence, the prosperity gospel, and more, all from the perspective of someone who understands these phenomena from the inside. Whether we ourselves are from the city or not, we need a deep understanding of its social, political, and spiritual realities if we're to minister effectively. Taking It to the Streets offers firsthand accounts of urban life alongside large-scale considerations of its systemic challenges, all in the context of the life-giving good news of Jesus. This is the introduction to urban ministry we need. Filled with both sober truths and the hope of Jesus, it will inspire and equip a new generation of ministers to our cities. "Rev. Williams seeks to take his readers beyond the headlines and stereotypes to expose the reality of communities and people who have been neglected and abandoned by society. He tries to educate people on the realities of whole segments of our society who have been demonized and treated as throwaways. He reminds us that the good news of Jesus calls us not only to do the acts of charity that call us to care for our brothers and sisters but to demand justice and transform a society that has become comfortable with leaving brothers and sisters on the side of life's road." "This book is fire! You will be moved to think and act differently, to meet people where they are, and join the resistance of God's people who refuse to accept injustice and apathy." "After thirty-eight years of studying, living, and ministering in inner city Chicago, I recognize an authentic tour guide when I see one; they wear Jesus glasses, and they are incarnate and not in a car. 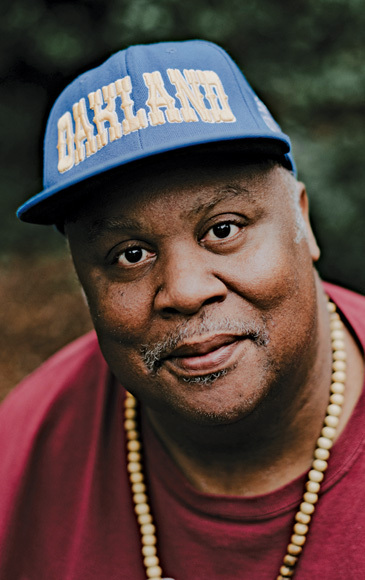 Reverend Harry 'OG' Williams takes us to school with lessons from Oakland. His teachers are tenured by streets, courts, and prisons. But Harry speaks another truth: Oakland is disappearing. The people with power to steer the survivors of slavery, Jim Crow, and every other injustice you can imagine by systemic disinvestment, have returned, this time to take the neighborhood back for the expanding tech empires of the Bay Area, as we see happening across this country and many others. Harry meets gentrification, and it's ugly in different ways. Harry's people are being forced out so that Oakland may be safe and secure for those who will profit from massive social displacement, making the community safe again so those pastors who function like 'those religious cruise ship directors' will move back to the city. Thank you, Harry Williams, for telling it like it is. We know that CCDA will empower some to stay and that is good, but what will urban ministry look like when the poor are scattered into the unincorporated collar counties distant from cities and community services?" "Real recognize real. OG Rev is a real one that has been serving some of the hardest parts of Oakland. Taking It to the Streets is a wake-up call for the church to go from apathy to compassion. It is filled with helpful insights and solutions for the future of the urban church." "Harry Williams has taken his years of work in the streets of Oakland and written a helpful and hopeful guide for those of us who know the gospel centers on the 'least of these.' Read these words carefully but be warned, Taking It to the Streets is a rousing call to action from an 'OG Rev' that can't just be read but must be lived." "I've walked the streets with my friend Harry 'Rev' Williams and know that he embodies the message of Jesus by living a life of radical, compassionate presence. This book is an urgent, gentle, lyrical, and prophetic invitation to let our hearts be broken, imagine a better future together, and join the resistance." 4. Gentrification: What Happens When There's No Direction Home? 12. Stories from the Streets: Where Do We Belong? 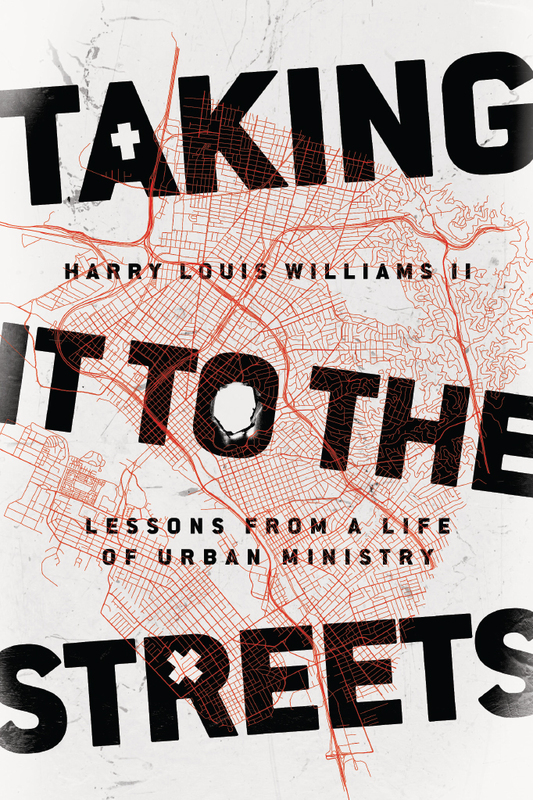 Harry Louis Williams II (MDiv, Palmer Theological Seminary) is an ordained minister and the author of several books, including No Easy Walk and Street Cred. He serves the poor, addicted, homeless, and formerly incarcerated in Oakland, California.